Just how far off the mark is the music at your parish? The question seems unfair, yet the vast majority of parishes in the United States engage in liturgical deviations of the musical variety. Everything from folk music to heavy metal has been heard at Mass, despite having no official approval by the Church. Curiously, many parishioners who would never tolerate the replacement of Bible readings from the Lectionary with excerpts from Seven Storey Mountain or A Charlie Brown Christmas, seem to have no trouble excusing the musical equivalent. The 1974 Graduale Romanum contains all the chants for every Novus Ordo Mass (the “ordinary form” of the Roman rite) in the liturgical year, but instead of hearing this music, most Catholics get vernacular hymns of the “liturgical pop” genre. Most experts believe the ideal way to learn Gregorian chant would be for a choir director to attend a workshop or colloquim (such as those the Church Music Association of America conducts) or to invite an instructor (such as Jennifer Donelson, director of sacred music at St. Joseph Seminary in New York) to the parish itself. However, if a parish has limited time or money, or is only looking to add a few basic chants for the moment, then a sacred music “starter’s kit” might be a good fit. The exact contents of such a kit would vary from parish to parish, but all would likely include CDs, books, or downloads. Not many CDs or books would be needed, which makes a kit containing them very affordable. Even more affordable would be the free downloads from the Church Music Association of American’s site, although these might cost more time and energy to print and organize. Possibly the best CD for a parish looking to upgrade its musical repertoire would be Sublime Chant by the Cathedral Singers. A number of the album’s chants are in English, which eases the transition for those who might want something familiar to work with as they venture into new territory. Also beneficial is the fact that one of the Mass settings (in this case, the Kyrie, Gloria, Sanctus, Memorial Acclamation and Agnus Dei) was promulgated by Pope Paul VI for worldwide use. The man who gave us the Novus Ordo Mass wanted Gregorian chant to be a part of it. An example of what a complete Novus Ordo Mass should sound like is found in a CD from Cantores in Ecclesia called Inclina Domine. It contains, not only the “ordinary” of the Mass (those parts whose texts are invariable, most notably the Kyrie, Gloria, Credo, Sanctus and Agnus Dei), but all the chants for the Mass of the 21st Sunday in Ordinary Time. From the Introit (entrance chant) after which the CD is named to the Dimissio (dismissal) and even beyond, Inclina Domine is an album of great value for any parish wanting to get a sense of what Pope Paul VI was thinking in terms of the “modern” Mass. Cantores in Ecclesia also has two other CDs which will be of help to parishes looking to add more of the Church’s treasury of sacred music. O Lux Beatissima contains popular Latin hymns such as Ave Maria, Salve Regina, Tantum Ergo and O Salutaris Hostia while Cantemus Domino has much of the music found in the Church’s Holy Week liturgies. All three of these CDs are available from Oregon Catholic Press, as is the book Laus Tibi Christe, which contains the most common chants and comes in both a choir/accompaniment edition and a smaller assembly edition. Paraclete Press has a more extensive collection of chant resources in both CD and book format. The monks of St. Peter’s Abbey in Solesmes, France and Gloriae Dei Cantores are the choirs who provide instruction through sung, spoken, and written words. The most basic kit from Paraclete is comprised of two CDs (Gregorian Melodies I and Gregorian Melodies II) and a book (Liber Cantualis).offered at a discounted set price. These items contain foundational chants for truly Catholic worship. Among many other resources, Paraclete also carries the CD Learning About Gregorian Chant, which gives the listener insight into the placement and development of singing in the Mass, along with examples of the musical pieces referenced. The English narrator and the choir (of St. Peter’s Abbey in Solesmes, France) combine for a valuable lesson on how Catholic liturgical song. This helps to make chant more accessible, as do the many other CDs Paraclete carries from Solesmes, although most are without narration. Paraclete distributes similarly-formatted Gloriae Dei Cantores CDs, such as The Chants of Christmas and The Chants of Easter. The notation for the chants on these CDs is included in the previously-mentioned 1974 edition of the Graduale Romanum, which Paraclete also offers. Indeed, Paraclete has a wealth of materials available for those Catholics who want to sing with the Church. Once a parish has used its kit to acquire a better understanding of the fundamentals, it can graduate to a sacred music event with personal instruction. This summer’s roster of such events includes the Church Music Association of America’s colloquium June 19-24 in St. Paul, Minnesota, Corpus Christi Watershed’s sacred music symposium June 26-30 in Alhambra California, a chant and polyphony workshop June 26-30 in Chicago, and the 5th Annual Sacred Liturgy Conference July 12-15 in Medford, Oregon. In the meantime, there are many inexpensive (or even free) audio, print, and digital resources available for any parish desiring to make the serenity, reverence, and beauty of the Church’s musical treasury available to the faithful today. 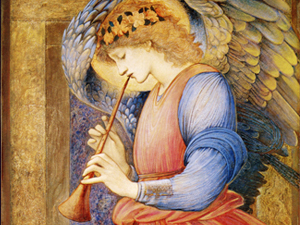 Embracing the Church’s musical traditions through these resources will make the ordinary Catholic way of singing (Gregorian chant) more ordinary in the ordinary form of the Mass—including the ordinary of the Mass—not only on Christmas or Easter or in Advent or Lent, but every Sunday in Ordinary Time.